Kingman Historic Theatre: Showing this weekend Goosebumps! 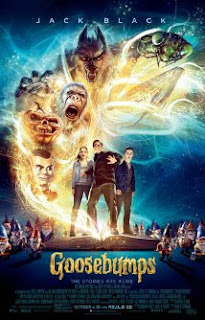 Showing this weekend is "Goosebumps". Fri-Sat the movie starts at 7:30 on Sun movie starts at 5:30. This movie is rated PG and stars Jack Black, Dylan Minnette, Odeya Rush.